The train will ease the load of the existing trains as the number of commuters on this route are high. The Central Railway has finally decided to operate two regular weekly Humsafar trains from Nagpur and Ajni in order to provide relief to passengers travelling to Pune. The ‘Humsafar Trains’ have long haul routes and are fully three-tier AC sleeper trains that were designed to give a taste of luxury to the common man. The 15-coach train will have only four halts — Daund, Manmad, Bhusawal and Badnera. As per the sources, the trains will commence running from this month itself. At present, there are at least 10 trains on this route, two of which originate from Nagpur and others passing through it. General manager DK Sharma had hinted of increasing the services on this route when he briefly visisted Nagpur last December. Ved Prakash, director (coaching) Railway Board, wrote to the general manager in Mumbai on February 4, seeking his nod to start the two trains immediately. According to the latest information on the board’s schedule, train number 11419 will start from Pune on Thursday at 10pm and reach Nagpur at 1.30pm on Friday. After halting for 1.30 hours, the same train 11420 will leave from Nagpur at 3pm and reach Pune at 8am on Saturday. The ticket fare will be approximately Rs. 1,400-Rs. 1,500. The other train 11417 will depart from Pune on Tuesday at 8.20pm and reach Ajni at 11.45am on Wednesday. While returning it will leave Ajni at 4.15pm on Wednesday and reach Pune at 9.20am on Thursday. The rakes for the train will make way soon, railway sources said. The train will under primary maintenance in Pune. The announcement of the ‘Humsafar train’ came as a surprise as there was no sign of the same in the general budget presented by railway minister Piyush Goyal. “We have been pursuing it for the past couple of years. Earlier, we even thought of starting a clone train to Pune but plans did not materialize. The existing utilization of trains like Pune Garib Rath and Nagpur-Pune Express is already 150% and hence Nagpur Central Railway had apprised the Railway Board after a market survey about need for a new train,” said senior railway officials. 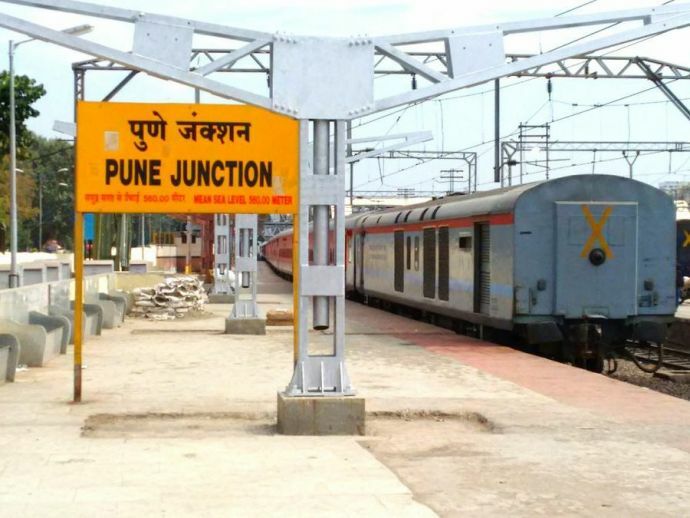 The trains have brought about ease to passengers travelling to Pune as it would get difficult to secure confirmed berths because of the high number of travelers on this route. Students and families would then have to resort to private buses, fares of which are exceedingly high.